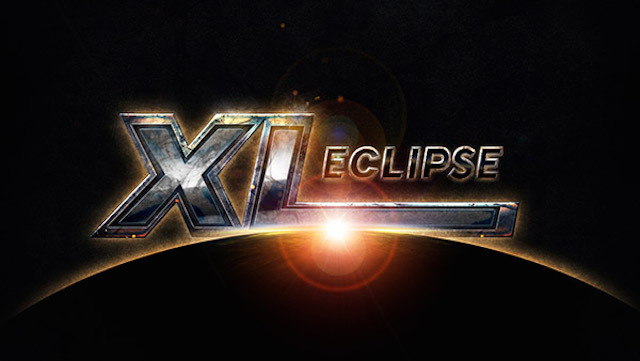 888poker’s XL Eclipse online series paid out its largest prizes to date on Tuesday as a trio of “High Roller” tournament got underway. The highlight of the day’s schedule was the massive $2,600 High Roller and its $200,000 guarantee. With the biggest paydays thus far on the line, here’s everything you need to know about all of the action that went down at the halfway point of the 2018 XL Eclipse. Far and away, Germany’s ‘2pacnrw16’ has become the biggest winner of the 2018 XL Eclipse series with his five-figure win in Event #16: $200,000 High Roller. By besting the 56 player field, they took home the $72,625 first place prize. Canada’s PocketFiver ‘jadedjason’ also was able to secure a major cash in the High Roller, earning $46,687 for his runner-up finish. With the score, he soars to over $4 million in lifetime cashes with the score. Spaniard Sergio ‘zcedrick’ Aido, a regular high-roller both online and off, took third in the tournament for $31,125. Ranked #98, Aido is no stranger to big-time results coming off a final table appearance during the Triton Poker Super High Roller for a cash of over $827,000. There was a deal struck in Event #17: $100,000 Mini High Roller. When ‘WhoDatt12’ and Sweden’s ‘Hallnor’ got heads-up, they made a deal which gave ‘Hallnor’ $16,297.33 for a runner-up finish and ‘WhoDatt12’ a first place payout of $17,552.67 and the XL Eclipse title. The pair were among the nine players who earned over $10,000 on Tuesday. When there’s $200,000 up for grabs, the sharks begin to circle and that is exactly what happened in Event #16. 888poker Ambassador and World Series of Poker Main Event Champion Martin ‘MJacobson888’ Jacobson managed to make the final table of $200,000 High Roller. He laddered inside the seven paid placed to finish in sixth place for $11,412.50. The field was as tough as they come with notable names like #2-ranked ‘Isildur1337’. At the same time that the Swedish legend, more commonly known as ‘C Darwin2’, was playing this high roller, he was busy playing Day 3 of the PokerStars WCOOP Main Event, where he finished in 10th place for over $72,000. Another ranked player, Joao ‘Ineedmassari’ Simao was also in the hunt. The #13-ranked Brazilian pro was unable to make the final table and bowed out in 13th place. Other players that fired in the High Roller include 888poker’s Chris ‘moorman1’ Moorman, #11-ranked Roman ‘Romeopro’ Romanovsky, #12-ranked Jonathan ‘Johnfoot’ Proudfoot and the #1-ranked player in the world ‘tutten7’ (aka ‘lena900’). In addition to Event #16 runner-up ‘jadedjason’, a number of PocketFivers were finishing strong on Tuesday. In Event #17, Belea ‘RazvyB’ Razvan climbed his way to fourth place to lock up $8,250. It marks his fifth four-figure (or better) score in the month of September. In Event #18: $30,000 Late High Roller #180-ranked Sweden’s ‘doublenature’ finished in fourth for $2,625. Only two spots behind him Argentinan pro ‘_zufurduo_’ busted in sixth adding $1,500 to his nearly $1.1 million in career earnings. The number eight is all over tomorrow’s schedule with three 8-max tournaments and a total guarantee of $80,000.